Unique Sleeve with Stand. 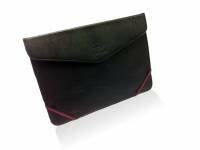 This affordable PU leather sleeve is suitable for the Denver Tid 97062. Colour Black. Order online at 123BestDeal!